Today is the Russian Orthodox Christmas. Due to some calendar shenanigans Jesus gets to celebrate his birthday again. Merry Christmas to those who celebrate today! 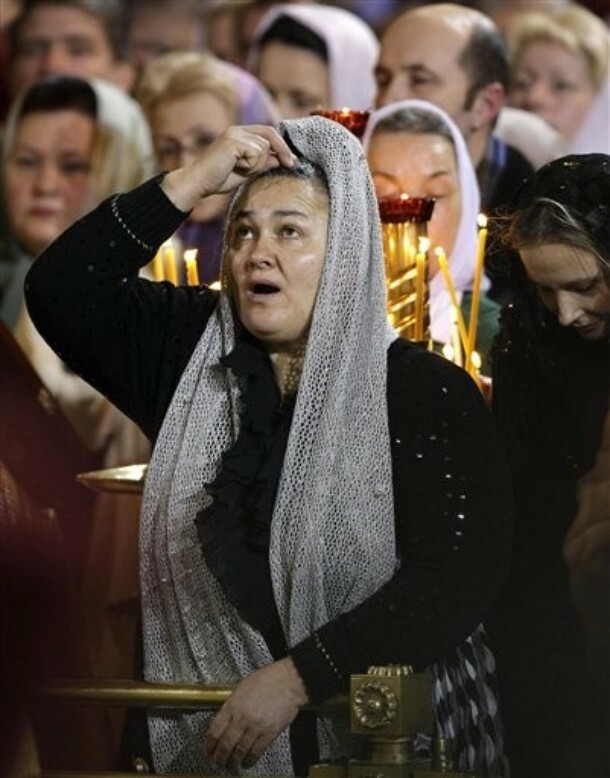 A Russian believer crosses herself during an Orthodox Christmas service at Christ The Savior Cathedral in Moscow, early Thursday, Jan. 7, 2010. Christmas falls on Jan. 7 for Orthodox Christians in the Holy Land, Russia and other Orthodox churches that use the old Julian calendar instead of the 16th-century Gregorian calendar adopted by Catholics and Protestants and commonly used in secular life around the world. 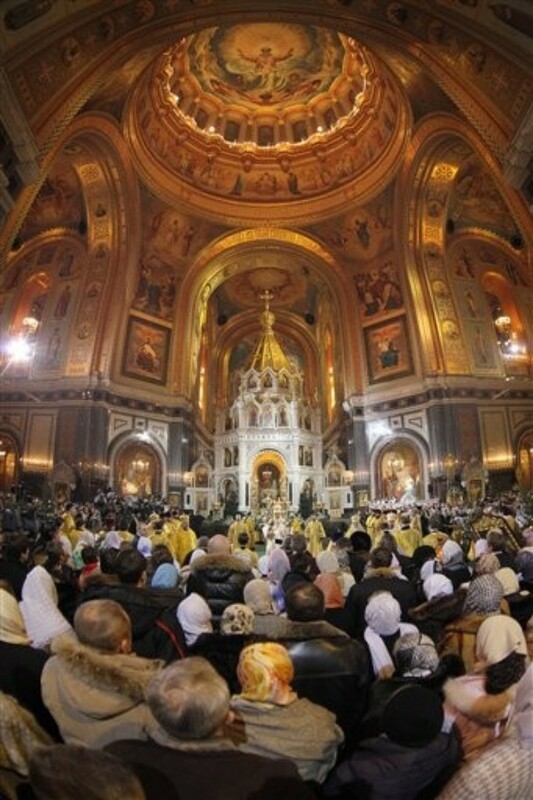 Russian Orthodox Church Patriarch Kirill, center, attends an Orthodox Christmas service in Moscow's Christ The Savior Cathedral, in Moscow, Russia, late Wednesday, Jan. 6, 2010.